It all begins with strategically tagging your music for the Bandcamp community. We help your Bandcamp promotional efforts reach their maximum potential. We leverage the Bandcamp algorithms in your favor by reaching fans most likely to engage with your music. WE SPECIALIZE IN HELPING ARTISTS AND BANDS FIND THEIR BANDCAMP TARGET DEMOGRAPHIC. Using our extensive knowledge of the Bandcamp music genres and sub-genres we determine where your album will perform best. By using the right keywords for your music, we help connect you to potential fans browsing the Bandcamp Discovery Area. OUR SERVICE IS AIMED TO INCREASE YOUR ORGANIC REACH ON BANDCAMP. Whether you are an established band or are a solo artist releasing your first album, we improve your exposure to the Bandcamp community. We broaden the possibilities of an album by aligning your music with the Bandcamp community that fits your vibe and sound. We have developed a system that places your music in the best possible position to succeed on Bandcamp. Our knowledge and database of the Bandcamp community provide insights for tagging albums with the best possible keywords. Bandcamp has specific rules to their algorithm for determining where and what records sit on the Bandcamp Discovery Sub-genre lists. We help you qualify and maximize your positioning through a targeted keyword roadmap. We have spent hours, and hours and more hours breaking down the Bandcamp community. Our experience secures that we can quickly and efficiently create a best-of-the-best plan for launching an album into the Bandcamp community. Read our CASE STUDY to learn more about the process. By concentrating on finding what Bandcamp buyer persona your music connects to best, we create and attract opportunities. The key in an oversaturated competitive market is to make the things you want, chase you. Trust us if we had solicited directly to the Nerdist (popular blog with over 2.5 million viewers a month) we would NOT have received coverage. Instead, they found our client's music themselves when browsing the Bandcamp Discovery sub-genre lists. The Nerdist picked the album as the #25 best underground album for 2016, without any solicitation from the band themselves. WITH THOUSANDS UPON THOUSANDS OF RELEASES BEING UPLOADED EVERY WEEK AROUND THE WORLD HOW DO YOU MAKE YOUR MUSIC FOUND ON BANDCAMP? HOW DO YOU START FINDING THE FAN BASE? 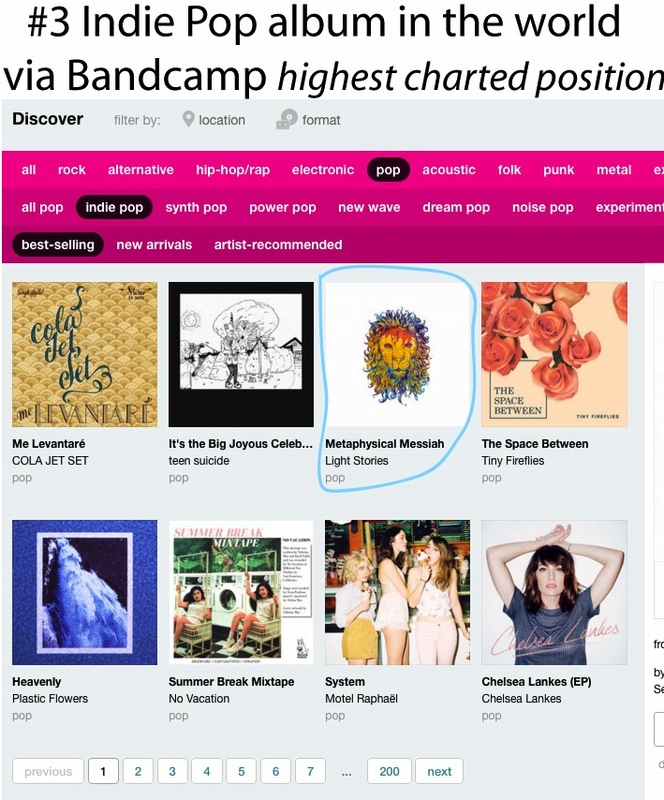 Can you improve your music's marketing potential on Bandcamp? We struggled to answer the questions, then one day we figured it out. By trade, we are strategists so we took some techniques and started to create a fundamental plan of action that could maximize an album's potential within the Bandcamp community. It doesn't matter if you have had your music available online for months or even years. Using our resources and tools will improve the performance and growth opportunities for your album. Our Bandcamp promotional strategy tools are designed to help music perform at its best.